Gift certificates can be mailed via USPS first class OR emailed to you, or to the recipient directly. 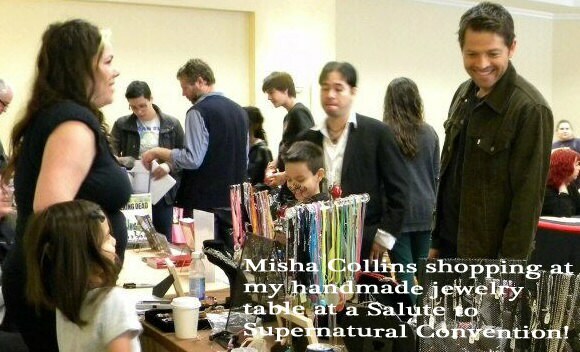 Please let me know in the "notes to seller" section during the checkout process and include a valid email address. If you want the Certificate to be mailed to you via USPS within the US, the shipping is free. If you reside outside of the US and would like the gift certificate mailed, shipping will be charged accordingly. Digital delivery, of course, is free. The Certificate will include a unique redemption code written by me on the certificate along with instructions as to how to redeem. 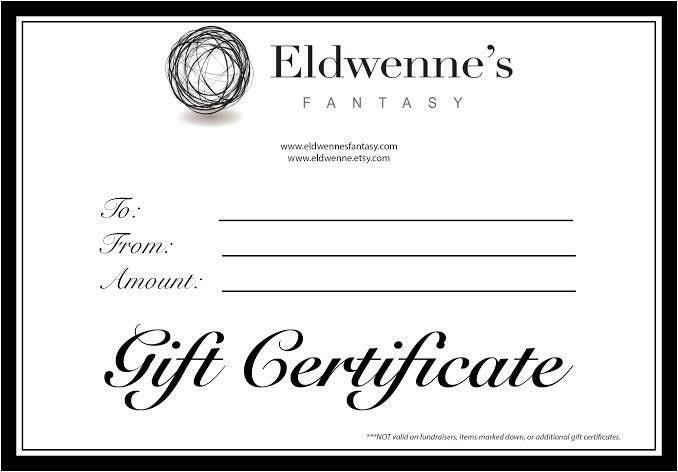 If purchase is less than the amount of the certificate the balance can be applied to future purchases at Eldwenne's Fantasy as a credit. If you would prefer a gift certificate in another denomination, please convo me and I’ll be happy to accommodate! Gift Certificates expire within a year from shipping date. Gift Certificates cannot be used to purchase any other Gift Certificates, fundraiser pieces, or items which state in the description that they are ineligible. Coupons cannot not be used in conjunction with a Gift Certificate - no other offers can be combined.